In 2008 Falmouth Art Gallery embarked on a groundbreaking three-year project to raise awareness of the importance of the frame to the work of art it surrounds. Despite being an integral part of the work, historic and artist-designed frames are sometimes separated and are often not reproduced, conserved or catalogued. The impetus for the project came from Brian Stewart (1953–2010), Director of Falmouth Art Gallery for the last ten years of his life, who in 1996 reviewed a book on frames[i] which struck him as making an ‘important contribution to art history’. Within its pages the authors demonstrate unequivocally that the frames chosen and in some cases designed by many of the great masters are an integral and essential part of the artwork. Since 1996 many other works on frames have been published, and many organisations have been inspired to undertake research providing valuable information about frames in museum and private collections. Leading auction houses, including Christie’s, Sotheby’s and Bonhams, now regularly catalogue both painting and frame when significant works are auctioned. Nevertheless, Stewart believed that there was still much progress to be made. Even now it is not uncommon to see in major exhibitions carefully cleaned and conserved oil paintings, whilst the frames are left with years of dust and grime, creating an aesthetic mismatch that does no favours to either painting or frame. At Falmouth Art Gallery, with the help of major grants from the Esmée Fairbairn Foundation and the Heritage Lottery Fund, he initiated a rolling conservation programme of the gallery’s permanent collection of works from the early eighteenth century through to the present day, which would look at painting and frame in tandem. Beginning and ending with ‘before’ and ‘after’ exhibitions, the Falmouth Frameworks Project set out to conserve and catalogue all its historical and artist-designed frames, where necessary replacing unsuitable later additions with replicas in consultation with leading frame experts, as well as a team of specialist conservators. It also sought to demonstrate that scholarship and family-friendly interpretation can be achieved in harmony, encouraging children and young people to develop and appreciate craft skills through an innovative education programme and working closely with contemporary artists to create new interpretations of the frame. The project came to fruition in 2011 with stunning results. 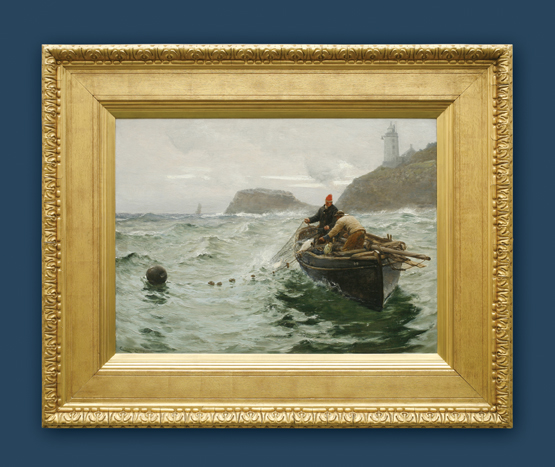 Falmouth Art Gallery is the first gallery in the country to research, restore, catalogue and reproduce both picture and frame as an aesthetic union. Eighty-six works by British and international artists such as Thomas Gainsborough, Sir Edward Coley Burne-Jones, George Frederick Watts, John William Waterhouse, John Singer Sargent and Dame Laura Knight, which were previously deadened by the dullness of their frames, have been magnificently restored or reframed. In addition contemporary Cornish artists have created eight exciting new ‘Frameworks’ for the Falmouth Art Gallery collection. Nearly ninety works from Falmouth’s collection are included in the 208 page Falmouth Frameworks book published by Sansom & Company. Unlike almost every previous art historical publication, in which paintings are reproduced denuded of their frames against a stark white background, here the frames are illustrated in all their glory against coloured backgrounds chosen specifically to showcase each frame. The effect transforms the way the viewer looks at a work of art. Indeed, Falmouth Frameworks has recently been awarded the Holyer an Gof Trophy for the best publication in Cornwall in 2011. 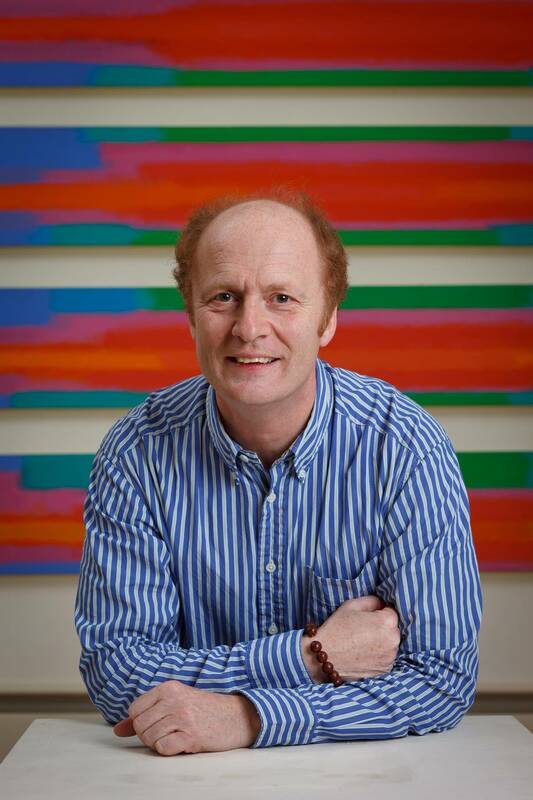 During Brian Stewart’s ten-year tenure, Falmouth Art Gallery gained nationwide recognition for its pioneering family-friendly approach, for which it has won numerous awards. The community education project was central to the project so the book also features a selection of paintings produced by children as young as two, mounted and framed with the same care and attention to presentation as that given to the better-known works of art illustrated. In her Foreword to the book, Dea Birkett of the Kids in Museums Campaign asserts that Falmouth Frameworks is ‘testament to the central place young people’s responses occupy in the gallery’. Sorry to storm the blog with posts, but I can’t help but to mention that quite possibly my favorite entry in the book is Trevor Bell’s ‘Heeler’. I’m so often torn between two worlds, that of tradition and the boundaries pushing contemporary. A visit to his website has me really hooked, especially his Frame as Form portfolio. They are utterly stunning! Many shown have frames that seem to have either spun off of the outer borders of the paintings or have just grown oddly through the canvases. Hands down his is some of the most innovative contemporary work I’ve seen in a long time. WOOHOO! Luckily bumping into this, I’ve just ordered my very own copy of the Falmouth Frameworks catalogue. R.I.P. Brian Stewart, and thank you for your contributions to picture frame history and all else. I can’t wait to see the book soon. WOOHOO! I’m so pleased that you’re getting the catalogue; Brian was such an enthusiast for picture frames, and he deserves to be remembered. And thank you for your enthusiasm – you’re very kind! I’m happy to report that I received the catalogue Friday. And what an impeccable book it is, most definitely! I suspect Brian realized that the best way to help make his book TOPS would be to hire the Lynn Roberts – Paul Mitchell team. And not a word of your involvement is mentioned up-thread. So I’m letting the cat out of the bag and I hope you don’t mind. The last formal artist entry in the book features the work of Patrick Woodroffe. What a delightful entry is his. I thought it would be alright mentioning here that he recently passed away on 10 May. I was very sorry to learn about it. R.I.P. Patrick Woodroffe, and thank you for your contributions to art and all else.